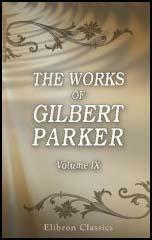 Gilbert Parker was born in Canada. He moved to the United States and after marrying a New Yorker, travelled extensively in that country. 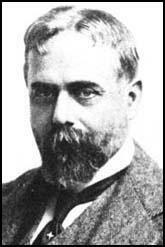 Parker arrived in England in 1890 and over the next ten years established himself as a successful romantic novelist. In 1900 Parker, who was a strong supporter of the Conservative Party, was elected to the House of Commons to represent Gravesend. Two years later he was knighted for his services to Canadian literature. On the outbreak of the First World War, Parker was recruited by Charles Masterman, the head of Britain's War Propaganda Bureau (WPB), to help shape public opinion in America. His work included the writing of three pamphlets, What is the Matter With England? (1915), Is England Apathetic? (1915) and An Account of the Origins and Conduct of the Great War (1915). Gilbert Parker, who retired from politics at the 1918 General Election, died in 1932.